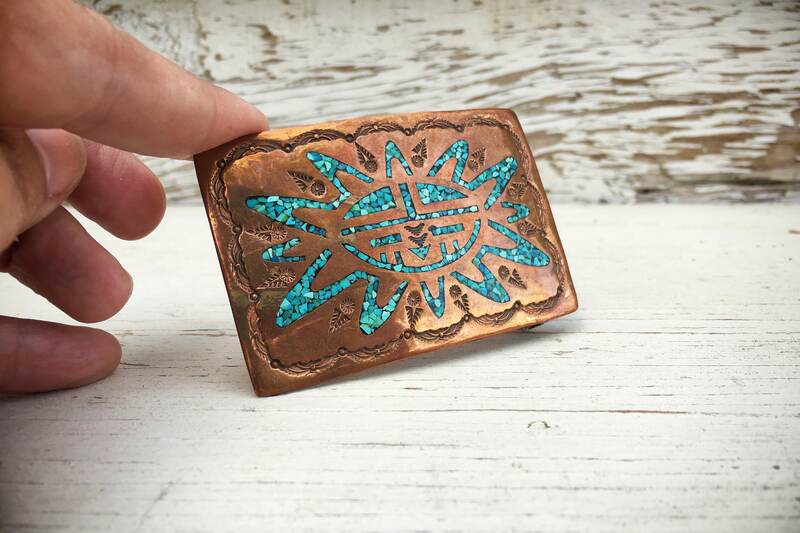 This copper belt buckle features crushed turquoise inlaid into a copper buckle with a sun design. The piece carried a lable--now has come off but still available--that says Arizona Copper Indian Handmade Navajo. 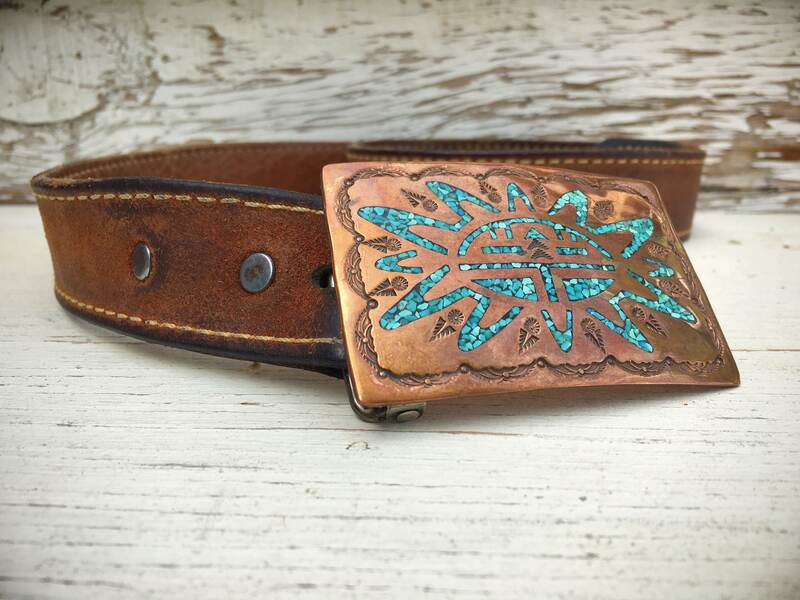 Came from the estate of a man who said he received the buckle as a work gift in the 1970s or 1980s. 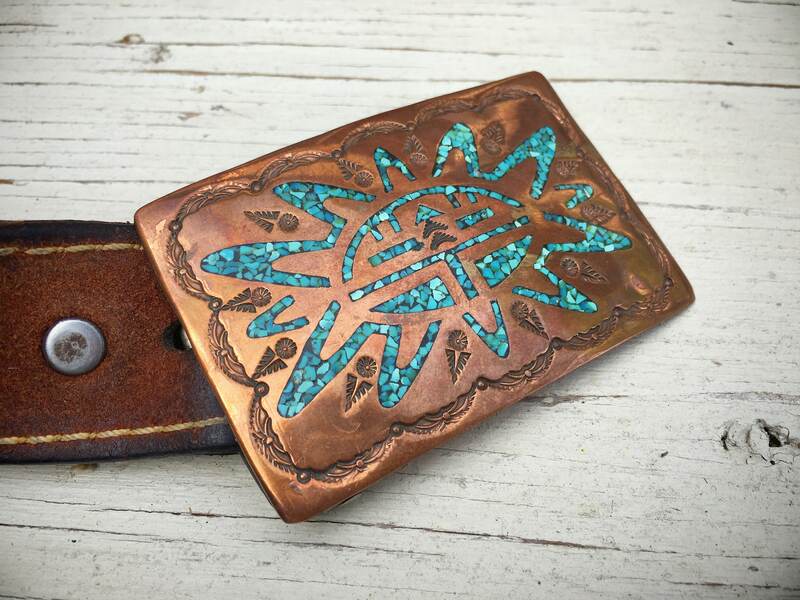 The buckle measures about 3" wide by about 2" tall. 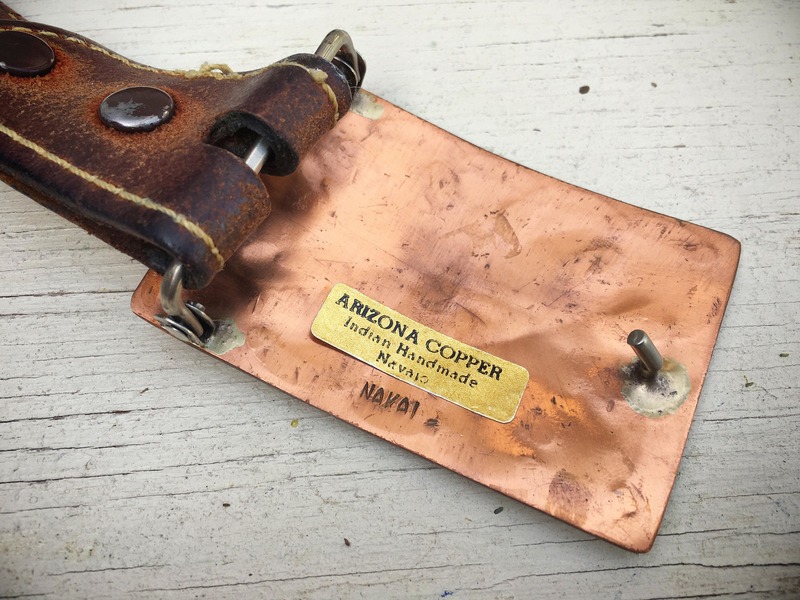 Copper has some small scratches from age and use. Original gold foil has fallen off yet will be sent with the buckle. The belt pictured is NOT included. Wonderful vintage piece at an affordable price! The buckle I bought was extremely thin, I can feel that it can be bent in half with my bare hands. I would have appreciated that being disclosed in the description. However the pattern is absolutely gorgeous. Seller was prompt and professional; purchase experience was effortless!